“The music classroom is a perfect place to teach critical thinking and problem solving,” says MENC member Donna Zawatski. Instead of giving students the answers, she asks questions that will clarify the process and lead to better solutions from the students. “Students will define the problem, come up with solutions based on their previous experience, create, and then reflect on what they’ve created,” she says. “What picture was the composer trying to paint?” she asks. “Fear,” is usually the answer. “In your opinion, what expressive quality did the composer use most effectively to paint that picture?” The most frequent answer is “melody.” The low-pitched half step at the beginning of the piece creates fear. Students sometimes ask Zawatski to experiment with other intervals and pitch levels on the piano to see what the effect would be. “You know you have them hooked when they ask you to do this,” she says. Tempo—by speeding up, the listener knows the shark is nearby. Tone color—an instrument played in the lower range is much more ominous. Articulation and dynamics—for various reasons. After listening, students draw from their own experiences to compose. Zawatski asks them to predict what expressive qualities would capture audience interest, tapping into their critical thinking and problem-solving abilities. Accept many different solutions, and dispel the idea that there is only one “right way” to do things. Encourage students to see themselves as composers. Motivate them by inviting a composer from the community to class or showing a video clip of a composer at work. Loosen up your parameters. Solicit student-generated problems for the class to solve. Allow for a variety of ways for students to express what they know, and encourage them to use their skills. Adapted from “4C + 1C = 1TGMT,” by Donna Zawatski, Illinois Music Educator, Volume 71, Number 3. Used with permission. Donna Zawatski teaches teach K–5 general music at Thomas Metcalf Lab School on the Illinois State University campus in Normal, Illinois. She is the JEM (Junior High/Elementary Music) VP for the Illinois MEA. We live in a time where the tide is turning. Instead of giving everyone a trophy, we’re beginning to teach students how best to deal with both the ups AND downs of life. We’re moving away from helicopter parenting/teaching. Instead we’re allowing students to take calculated risks and see the benefit from both success and failure – giving them a longer leash by which they can engage in self exploration and discovery. Today there is a shift from giving students the answers to guiding them to discover the answers for themselves. If we are not making those shifts in philosophy, I think it is time we do so, and there is no better place to model that shift than the music room. Think about it – the music room (band, choir, orchestra, classroom music) is a safe haven for most kids. It is a place where they come and are supported by passionate, dedicated teachers that care about them as human beings, not just as students or musicians. We want to foster and preserve their creativity and love of learning so it reaches far beyond their school years and translates to their adult lives. Although giving music students the answers (i.e. singing their part to them, etc.) and holding their hand may yield short term success (and a fine public performance) I do not believe this approach teaches them the core values that we all believe are most important. We want our students to learn life skills through music. In our classrooms students learn skills that are applicable to their entire future. Isn’t that an awesome responsibility? We will teach them how to be a manager, a member of a team, and to work with a diverse group of people with varying skill sets and talents. We will teach them how to be a leader, how to be a follower, how to give direction, and how to take direction. We will teach them ways to come up with multiple solutions to problems and test them. We will teach them to evaluate the results of their experiment and revise their ideas. We will give them opportunities to become self-directed and self-corrective. We will allow them to experience the excitement of achievement and sometimes (even more importantly) we will allow them to experience the discomfort of not achieving excellence on the first try. Our charge as teachers is to guide students to develop their own skills and help them apply those skills as they practice for “real life.“ Our use of critical thinking helps students as they discover and experience learning. So what is this critical thinking I speak of? According to dictionary.com, critical thinking is, “the mental process of actively and skillfully conceptualizing, applying, analyzing, synthesizing, and evaluating information to reach an answer or conclusion.” Isn’t it beautiful? Doesn’t it read like poetry? Think about what is happening when you are teaching a lesson or rehearsal and stop to address an issue you heard. Imagine this scenario: You are working on a beautiful legato section and your students played all the right notes, but the tuning of the last chord was a little off. You stop the band. Then what? You have so many options of how you can handle the tuning issue. One way would be to listen to them play the chord and simply say, “Johnny, your A is sharp. Play it flatter.” Done. Problem solved. While there are definitely times to teach with this kind of pointed direction, I would suggest trying to lead Johnny to the answer and let him discover the feeling of discomfort (out of tune) to comfort (in tune). How? It is fairly simple. This is the beauty of implementing a critical thinking approach. You are guiding them, and helping them, but letting them find the answer. You will achieve the same result – an “in tune” chord – however, your students will become more willing to make a decision, try something new, test it out, and re-evaluate. It may take a little longer to get that chord in tune, and you will have to be creative in how you approach musical concepts and engage all of your students in the process, but that is another reason teaching this way is so exciting! When they do get that chord in tune you should most definitely celebrate it and let them know that THEY were the ones that made it work. You are an incredibly important role model in the lives of your music students. If they see you experiment and see you get excited about their musical discovery, they will be willing to do things for themselves. By giving your students the power to make decisions about their musical performance you will be helping them to build true confidence, not inflated confidence. You will be helping them to deal with both the challenges of life and the exciting successes of life. You will be doing what we all set out to do; to help students love learning, stay excited, and remain curious. You will be helping to support students by maintaining their childhood excitement and creativity as they grow into adulthood. Never forget that you truly make a difference! 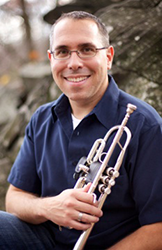 Composer, conductor, clinician, and educator Chris M. Bernotas has been an instrumental music teacher at New Jersey’s Mountain Lakes High School for more than 20 years. An active composer and arranger of concert band music, Mr. Bernotas is published with Alfred Music Publishing, Daehn Publications, TRN Music Publishing, Northeastern Music Publications, Carl Fischer Music and Bandworks Publications. His music has been performed at the Midwest Clinic and has appeared on J.W. Pepper’s Editor’s Choice list and numerous state lists. Mr. Bernotas is co-author of the third and fourth books in Alfred’s Sound Innovations series, called Sound Innovations: Ensemble Development, along with Peter Boonshaft. Mr. Bernotas is also an active guest conductor and presenter at clinics and conferences throughout the United States. Please visit his website or facebook page for more info. Featured photo is of the 2016 Sobrato High School Band from Morgan Hill, CA; Greg Chambers, director.